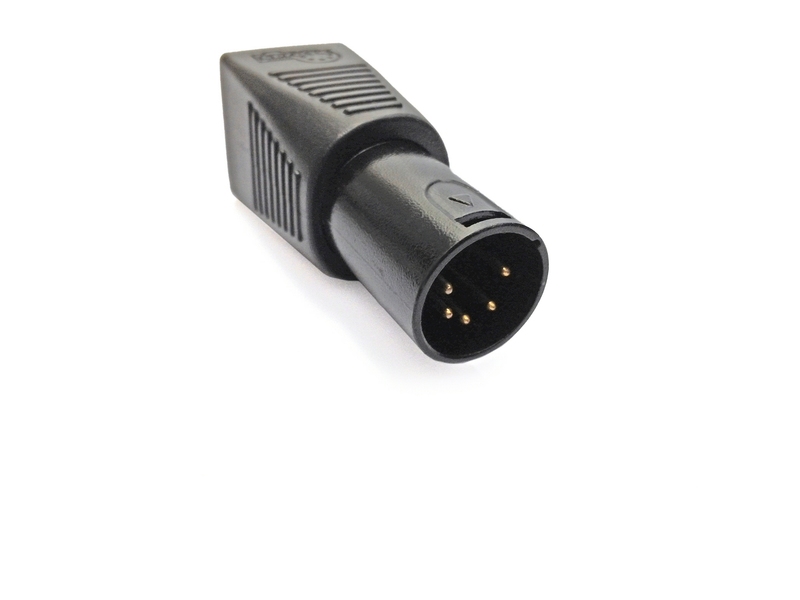 XLRJ45® is an adapter to convert a DMX512 XLR connector to a RJ45 connector. The XLRJ45® adapter makes it possible to use any ordinary, low cost CAT-5 ethernet cable as a DMX512 cable. XLRJ45® is available in four versions, 3-pin male or female XLR or 5-pin male or female XLR. XLRJ45® is very useful for making a DMX512 cable quickly and at a very low cost. in two seconds with the XLRJ45® ! 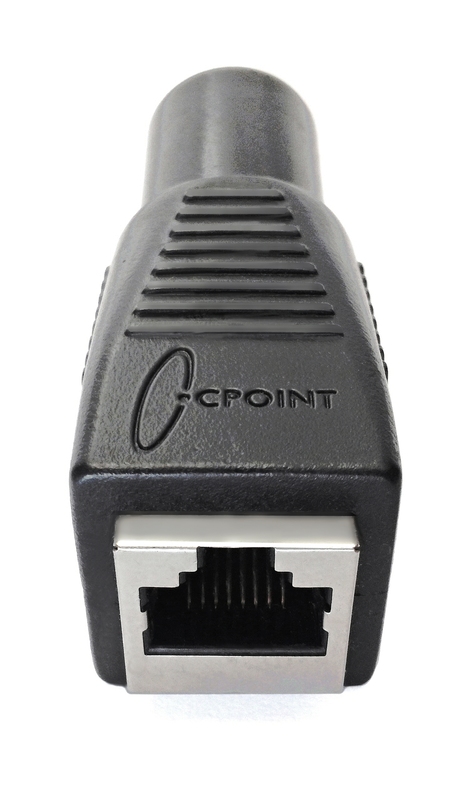 3-pin or 5-pin, male or female. Use an ordinary CAT-5 ethernet cable to make a DMX512 cable together with two XLRJ45® adapters. 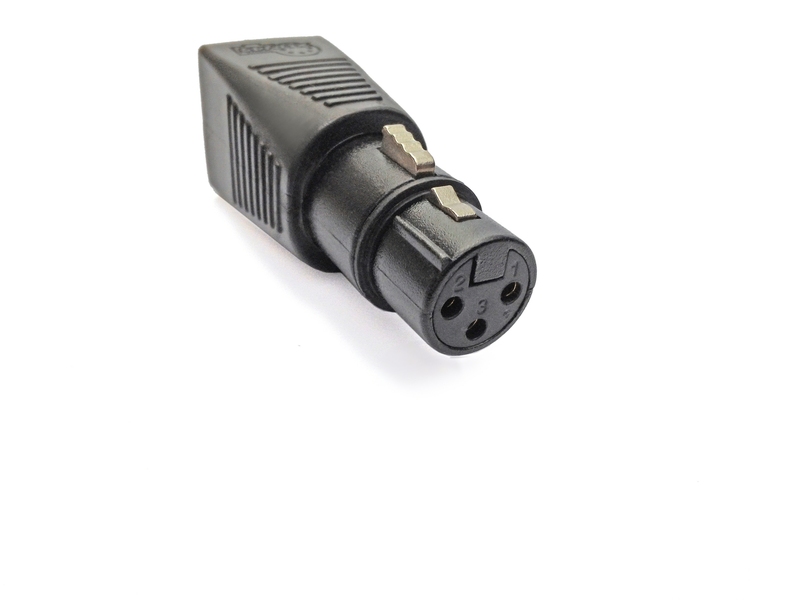 Plug the XLRJ45® directly into any 3 or 5-pin XLR DMX512-controlled equipment. 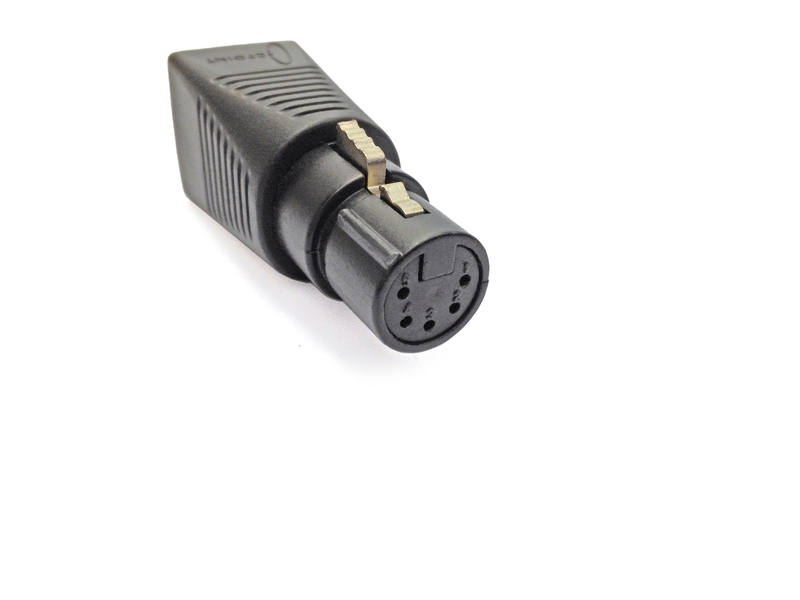 Four XLRJ45® versions are available, male or female 3-pin or 5-pin XLR to RJ45. Combine different adapters as needed. Very robust, rugged molded housing with non-slip grip. Gold plated pins on connectors. EAN13 Barcodes, separate code for each type of XLRJ45®. That's all it takes to make a DMX512 cable with two XLRJ45's and a CAT-5 cable.